Home /Blogs /zimmerinkoelndeutz's blog /Fewo Köln Tip: The Ice Hockey World Championship in the cathedral city! In 2010 the Ice Hockey World Cup was already in the Domstadt and soon, in May 2017 it comes back to Cologne! Together with Paris it is again Cologne as an official venue for the hockey World Cup! Where do the games take place? Of course again with us in Deutz! It is simply a neighborhood that is unique and brings together international sports events, music, show and also big business! Düx is the economic motor for the cathedral city and immensely important as it attracts thousands of people. A total of 34 games of the World Cup are held in the old Koelnarena. Including the semi-final and the final game. We are experiencing the sport of the top class with the final in Cologne! Gigantic! 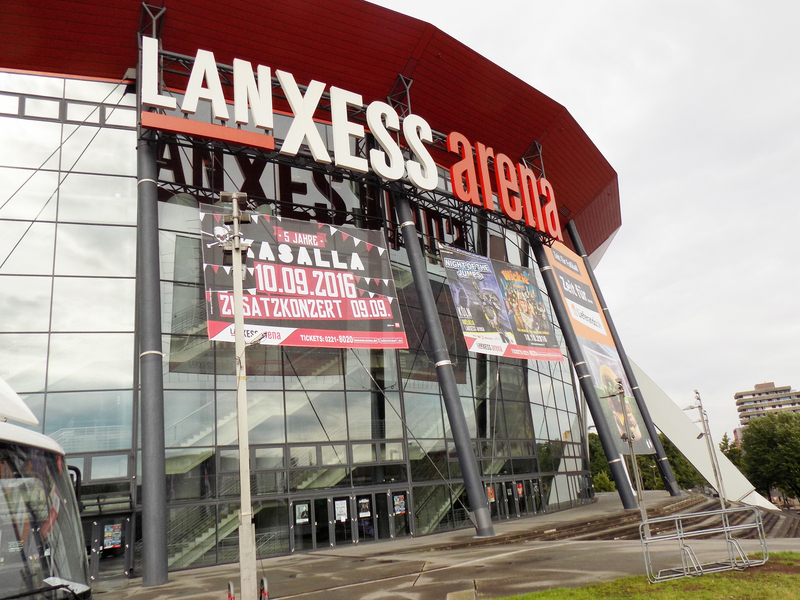 The World Championship takes place from May 5 to May 21, in the Lanxess Arena. There are also the semi-finals and the final round, as well as two quarter-finals, taking place in the first round of group A (Russia, USA, Sweden, Slovakia, Germany, Latvia, Denmark, Italy). Only for the eighth time is an ice hockey World Cup held in Germany and so already the second in Cologne! We can really proud of Cologne! In the last World Cup , Germany are unfortunately out in the semi-finals against Sweden. At that time, the Czechs became world champions, who were able to get a 2-1 victory against the Russians in an exciting final. Next time we want a surprise and something like the summer tale of our football national team, just on the ice of the Lanxess Arena. It will probably also be so that a lot of prominence to Deutz arrives to look at this sporting highlight of 2017 once live. It is once again a unique opportunity to experience such sport at this high level in Germany. Many people are certainly right now once to link the visit of this hockey World Cup with a city trip to Cologne. If one is once in Cologne, then one could also look at the sights of Cologne. With us there is not only the Cologne Carnival and Cologne Cathedral, but much more to watch! We offer culture and experience at the highest level. But surely you can imagine that the Domstadt is almost fully booked at such a sporting event. And then comes the Ferienwohnung-Koeln.com into the game! We offer holiday apartments at a fair price. Even during the World Cup, we are still significantly below the hotel rates and are particularly attractive for two to three person bookings, as we rent our Cologne apartment at a flat rate per night. Our apartments are bookable at a flat rate, for example, for two persons at a full price! Ask quickly for your free and non-binding offer! We are already very excited and excited, since we have never rented to such a big event in Deutz. The Gamescom is big, but the hockey world championship is probably gigantic! We are looking forward to welcoming you to our international Holiday apartments in Cologne ! Welcome to cologne!